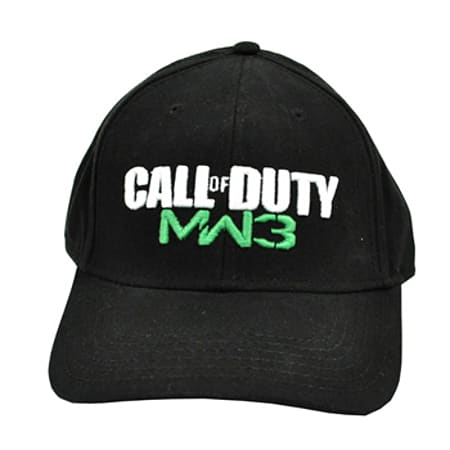 This Call of Duty Modern Warfare 3 hat is capable of completing every outfit in your collection giving you the opportunity to wear this awesome design on a daily basis. Fastened by a snap back design, this cap is capable of fitting a number of different people of different sizes giving everyone the opportunity to benefit from its awesome design. 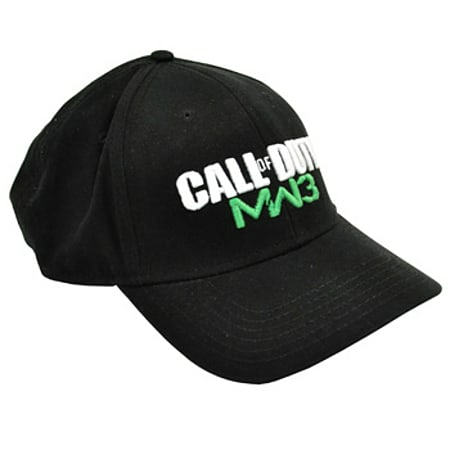 This Call of Duty Modern Warfare 3 hat is perfect for your every day wear as its design is bound to gain your style the recognition it deserves.Featuring an instantly recognisable and stylish design, this Call of Duty Modern Warfare 3 hat is certain to earn you many compliments on a daily basis. The design on this hat consists of a black background with an embroidered "Call of Duty MW3" logo on the front in green and white. The visor on this Call of Duty Modern Warfare 3 hat is great at blocking the sun from your eyes giving you the opportunity to enjoy your day without having to squint. Manufactured from 100% cotton, this Call of Duty Modern Warfare 3 hat is extremely durable ensuring that it is capable of withstanding the activities that you like to do on a daily basis. Modern Warfare 3 is one of the newest games in the Call of Duty franchise and has managed to become the biggest selling entertainment launch of all time. 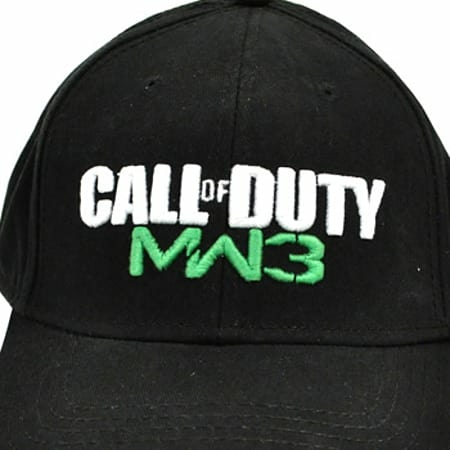 So be sure to order yourself a Call of Duty Modern Warfare 3 hat today and you can start sporting its awesome design on a daily basis.